Recently, Metals-Piping has supplied a nickel-copper alloy Monel 400 ring to a Korean client. The ring was forged to ASTM B564 UNS N04400 annealing heat treated and was delivered to an US client in Houston. 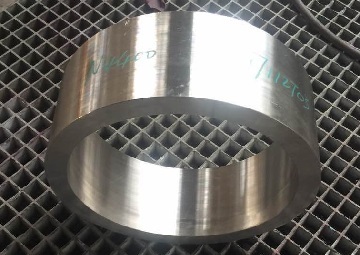 The Monel 400 ring, forged to ASTM B564 UNS N04400; size: 416 mm x 315 mm x 148 mm; annealed. 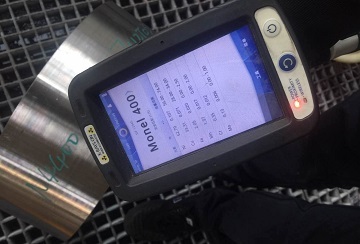 The PMI test (spectrum inspection) conducted for the Monel 400 ring. *For chemical composition, unit: wt %; Y.S, T.S, EL. : yield strength MPa, tensile strength MPa, elongation %.